They ride tricycles in the hallway but not a park. They know the name of the chemo instead of their classmate name. Nurses and doctors are their new family. Their strength will make a grown person cry. If you've ever seen a kid fight a cancer, it will change your life forever. 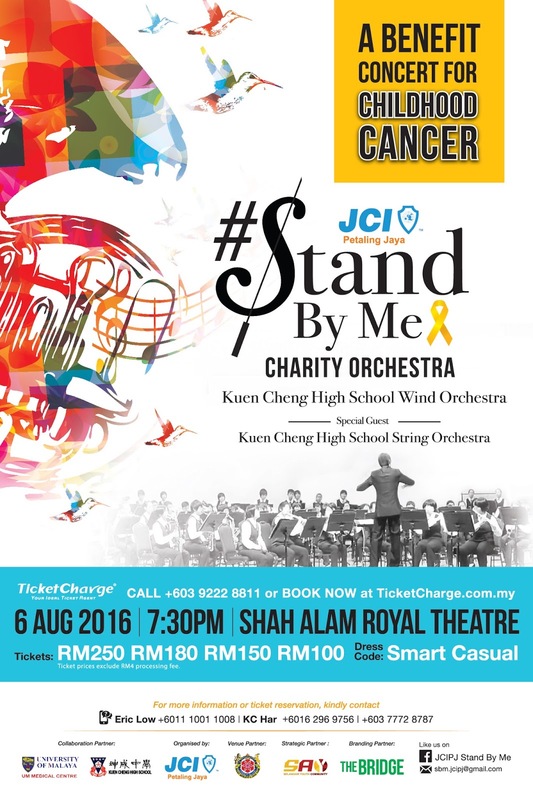 This year JCI Petaling Jaya will be organized a charity event, “Stand By Me Charity Orchestra”, to raise fund to support Childhood Cancer through UMMC Childhood Cancer Trust Fund. Junior Chamber International Petaling Jaya known as JCI Petaling Jaya is an award winning chapter and has been awarded the Most Outsatnding Local Organisation in Malaysia since 2009. 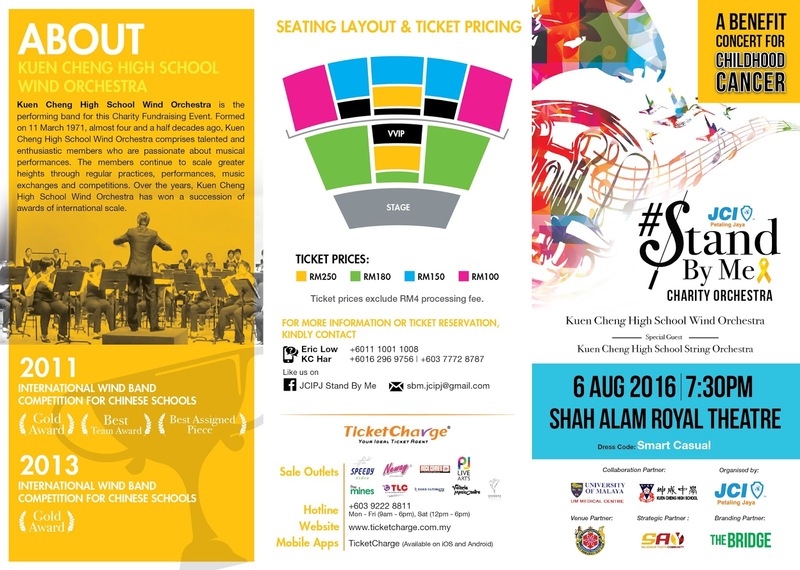 Mark your calendar and give your support to Stand By Me Charity Orchestra. To raise fund for underprivileged cancer patients to cover their medical expenses and get proper treatment. Kuan Cheng High School Wind Orchestra will perform during the charity event. Grab you ticket now at www.ticketcharge.com.my to help the childhood cancer. Visit their Facebook at https://www.facebook.com/JCIPJ-Stand-By-Me-1375420862787459/?fref=ts for more information.